Transport Minister Blade Nzimande has announced R3.5 billion stimulus projects intended to improve the country’s transport infrastructure. Nzimande says this is geared towards rebuilding investor confidence. The money will be spent on road construction and maintenance among other things. The projects are expected to further unlock R13 billion of investment in critical and strategic road infrastructure. Nzimande’s stimulus package is a response to President Cyril Ramaphosa‘ announcement of moves to get the economy going in last year’s State of the Nation Address. 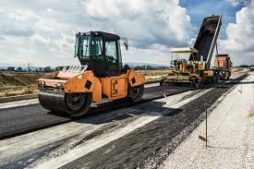 The post Nzimande announces R3.5 bln to improve transport infrastructure appeared first on SABC News – Breaking news, special reports, world, business, sport coverage of all South African current events. Africa's news leader..